An influential tourist guide book has dropped Donald Trump’s Turnberry Hotel from its listings. 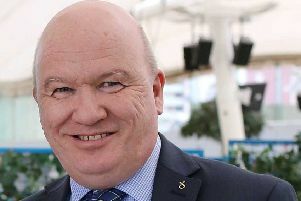 Pete Irvine, author of Scotland the Best, said Turnberry would be excluded from the book’s next edition in March because of its controversial owner. The US president bought the five-star retreat in 2014, two years before his election. But the hotel, in South Ayrshire, has featured in the book since it was launched in 1993. The author had previously criticised the hotel after its classic interiors, fixtures and fittings were stripped out in 2016. All of the 103 bedrooms were refurbished and given a feature marble bathroom in Trump’s signature bombastic style. But as well as his distaste at the hotel’s multi-million pound makeover, Mr Irvine also suggested a dislike of Mr Trump’s politics was behind his decision. He said: “Like so many of the little people everywhere, I watch with increasing repulsion as his half-baked policies and contradictory pronouncements make the world a more divisive and dangerous place. “He has used the office of presidency in the shameless commercial advancement of his hotel business. In July, Trump stayed at the hotel with his wife Melania, son Eric, White House spokeswoman Sarah Sanders and chief of staff John Kelly. The two-day trip cost US taxpayers an eye-watering £53,000. By comparison, guests at the luxury resort can stay in rooms for as little as £99 a night for two. Last week, Scottish craft brewery Brewdog pulled plans for a series of events with US brand Scofflaw after the American beer makers apparently sent out a release saying that UK-based Donald Trump supporters would be given free beer. Brewdog founder James Watt wrote on Twitter that he would “send all of the beer back” to Scofflaw and cancel the events, which were due to take place in six of its bars in England.